Although other accident causes will always exist, the reduction of loss due to proper maintenance is still significant. Efforts to press this cause will also mean that owners and operators will need to pay special attention to proper and timely repairs, as well as documentation. While choice of engines can dictate the MRO that is required, both Pratt and Whitney turbines and radials do ensure the availability of parts and technicians, which can help to reduce overall operational costs, especially when components do not need to be special ordered or machined. This also makes it simpler to adhere to maintenance protocols on schedule, and this can further enhance productivity. It should also be noted that even the PT6A turbine offers MRO advantages, especially since the engine is designed in segments that are easier to operate on. However, the greater efficiency of the design also means that the power train, exhaust valves, and compression units are less likely to bind, and this can also reduce the long term costs. 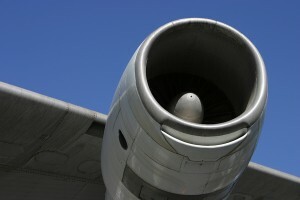 Regardless of the model of engine or aircraft, maintenance still plays a large part in overall safety. By figuring these actions into the life of the craft, operators and owners can also gain the most value from their investment. Flight performance, flight condition and safety are the most important factor for every aircraft. Thanks for sharing the skills of Radials and PT6A engines; they always maintain the flight performance.